The American Telemedicine Association kicked off its Fall Forum here in Anchorage this week. Attendees got a close-up look at the struggles rural Alaskans have endured to obtain basic healthcare services. As a public relations firm that is always after a good story, we can confidently state the Alaskan story has got it all. Ron Duncan, CEO of Alaska telecommunications company GCI, keynoted the opening session with a look back at how villages — most of which are not on the road system and hundreds of miles from an urban area — have coped. 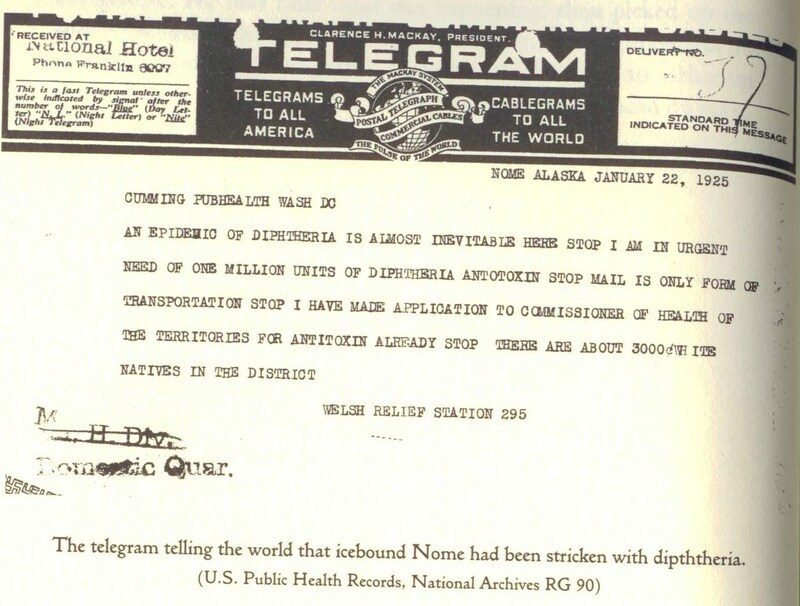 He described a serum run, by dogsled, to Nome in 1925 to save the Native kids there from diptheria epidemic. It took 24 days from the time the first telegram requesting the serum was sent, to the arrival of the serum. He then described early radio systems for audio consultations with physicians in Anchorage, subject to weather conditions that could interfere with the audio quality. Later, satellites launched and began carrying phone traffic, which was limited to a single long-distance line per village. Even with that improvement, the limitation of describing a medical condition over the phone resulted in thousands of Medevac flights from villages to Anchorage or other towns, many of which were unnecessary. Forty years later, satellite continues to be the standard bearer for voice, video, and data communications. The appetite for bandwidth has been insatiable as new applications are coming online in healthcare, such as HD video conferencing and cloud-based information systems. But, Duncan said, satellites are physically limited in how fast they can move data between a village and an urban area like Anchorage. They are, after all, more than 20,000 miles above the earth. The latency is causing the new applications to time out or fail, and Alaskans are going to be left behind once again. As a result his company is building a ground-based fiber optic and microwave network that will get part of Alaska – the southwest – onto the grid. This will finally deliver the bandwidth that the rest of us probably take for granted. The conference took place against the backdrop of the Chugach Mountains in Anchorage, which were dressed up with “termination dust” – the first snow of the season that blankets the tops of the mountains and signals winter is approaching. With 500 people making the trek, the ATA truly picked a great location to base its mid-year meeting and get people in the right mindset for advancing telehealth.